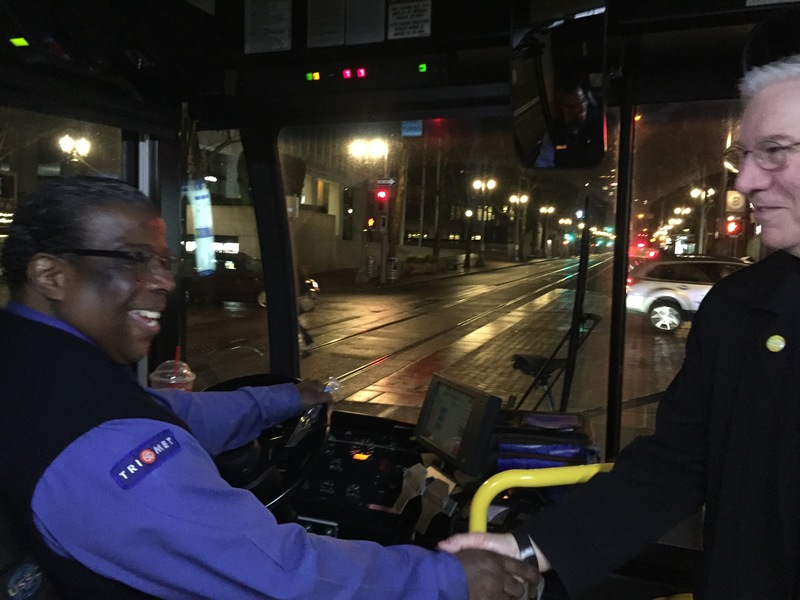 Friday morning before the sun was even up, TriMet’s frontline employees — bus, MAX and streetcar operators — were already hard at work, getting the region moving. 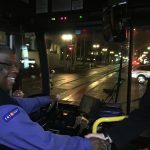 While it’s just another morning behind the wheel or at the controls, safely taking people where they need to go, other TriMet staff and leadership, along with riders hoped to make the day a bit more special. 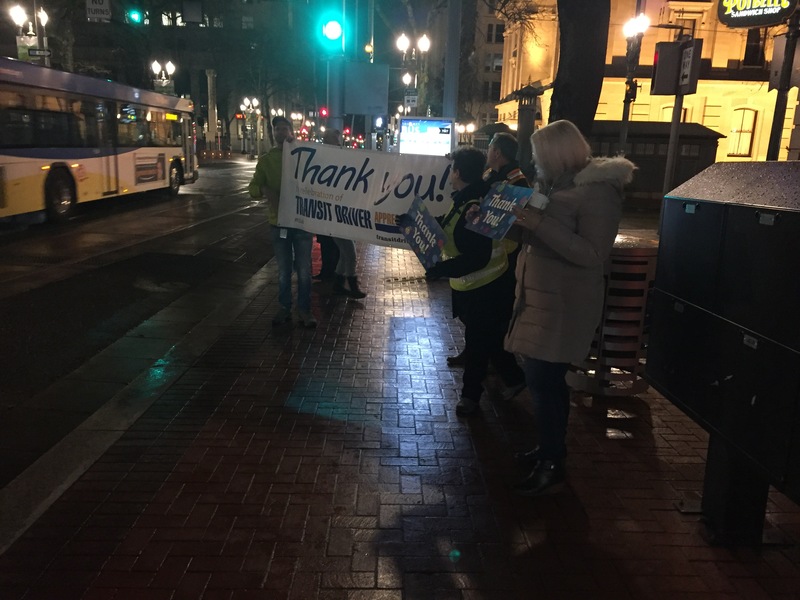 TriMet and agencies across the U.S. encouraged riders to join them in a celebration of Transit Driver Appreciation Day. TriMet’s 1,547 operators are the face of the agency. 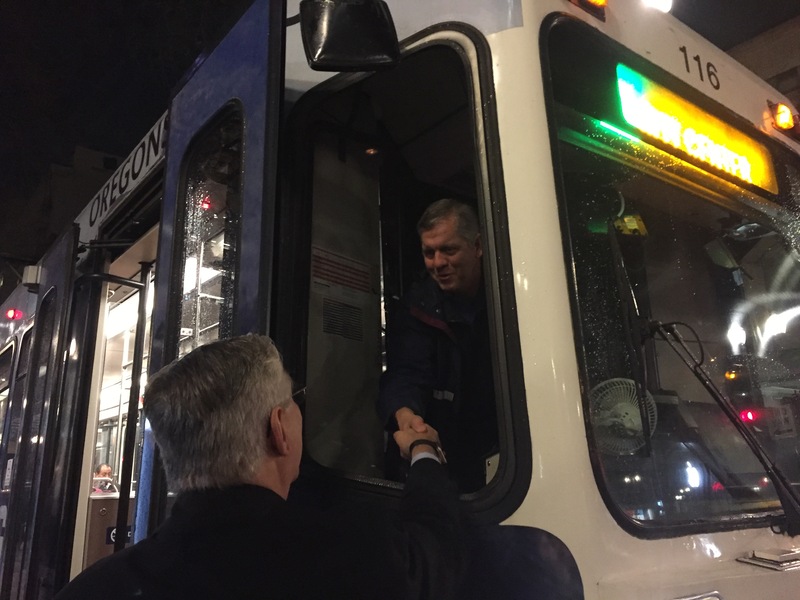 They provide about 300,000 weekday trips on buses, MAX trains, WES commuter rail trains and our LIFT paratransit buses, connecting people to jobs, schools, community services and recreation across Multnomah, Washington and Clackamas counties. Our operators also are at the controls of the Portland Streetcar. Tell your operator thank you, share a smile or give a wave. 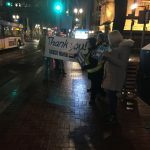 Give an official commendation by visiting trimet.org/thanks, calling 503-238-RIDE or tweeting @trimethelp. 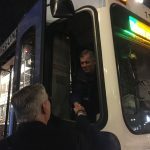 Leave a thank you note for your driver at trimet.org/tdad. Take a photo or share a nice comment on social media and use the hashtag #TDAD.